Farmers have been advised this week to consider vaccinating their animals for lungworm this winter by Animal Health Ireland (AHI). AHI says lungworm infection is one of the most important respiratory diseases of cattle in Ireland. It says many farmers rely on close monitoring of grazing stock and prompt dosing when clinical signs, including coughing (particularly after exercise), first appear. This can be very effective, but occasionally, even with careful vigilance, losses may occur before action is taken, it says. AHI highlights that a live vaccine is now available in Ireland and can provide good protection against lungworm when administered before the start of the grazing season. It advises that the recommended vaccination schedule requires two doses four weeks apart in healthy cattle from eight weeks of age. Calves need to have completed the programme two weeks before turn-out, thus calves will be fourteen weeks or older before they are turned out. While this may preclude the use of the vaccine in many spring-calving herds, AHI says vaccination can form part of a lungworm control programme in autumn-born dairy and suckler calves. It can reduce the number of doses required across the grazing season and allow a more targeted and selective anthelmintic control programme to be used, it cites. According to AHI the vaccine can also be given prior to turn-out as a booster to prevent clinical disease in second season grazing cattle and cows in herds where disease is present in older animals. Winter is a good time to plan for the next grazing season, says AHI. 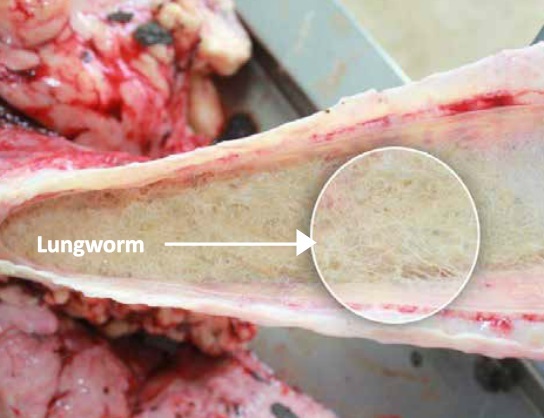 It advises farmers to talk to their vet to discuss lungworm control and treatment as part of an overall parasite control programme for their herd.